YouTube is a platform that relies on visuals. And, when representing your brand on YouTube, be it a company or a personal channel, what’s one of the most important visuals? The YouTube profile picture size is 800 x 800 pixels. While the YouTube icon dimensions are squared, your profile picture appears as a circle. All important elements must fit within a circular safe zone with a diameter or 800 pixels. When you’re learning how to make a YouTube channel, one of the first tasks you’ll have is setting up your profile picture; this is the icon that will represent you throughout the entire YouTube platform. To create your YouTube profile picture, you’ll need to know the dimensions for the perfect YouTube channel icon size. The perfect YouTube profile picture size in 2018 is 800 x 800 pixels. Your icon will be displayed as a circle, so make sure to keep the circular ship with an 800 pixel diameter in mind. In a moment we’ll discuss those dimensions in more detail. To be sure you’ve got it right, download one of the YouTube profile picture templates at the bottom of the page; you’ll find it available to download in PNG and PSD formats. Your company has no doubt put plenty of thought into your logo. Can you say the same thing for your YouTube profile picture? Some companies choose to use their logo as their YouTube channel icon. Others know their logo might not have the best dimensions to fit within a square shape. In this case, brands and YouTube users risk losing impact. What’s the difference between a YouTube profile picture and a YouTube icon? The answer is...nothing. The terms are used interchangeably. In general, those with personal accounts refer to that small square box as their YouTube profile picture, while companies and brands use the word icon. Going beyond that, that same icon is used throughout presence on Google. Your YouTube icon is the same image that will be used for all Google accounts, including Gmail and Google+. 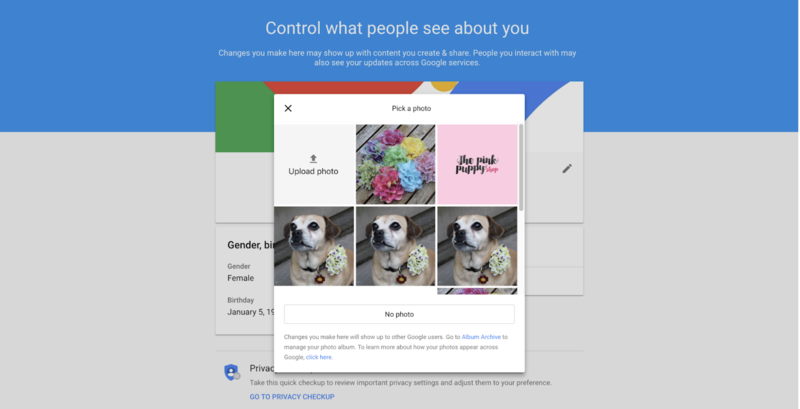 So, just like when you create or change your YouTube name, when choosing YouTube profile picture, make sure that it’s an image you want to share across all Google profiles. Earlier I mentioned the need to maximize impact with your YouTube icon. Doing this means ensuring no critical elements of your channel icon in the four corners of that 800 x 800 square, as your profile picture will appear in the shape of a circle. Notice how every YouTube channel icon appears in the shape of a circle, not a square, even though profile picture dimensions are 800 x 800 pixels. The same is true when you look at your icon on the page for your YouTube channel. The YouTube template shared below will ensure your profile picture doesn’t overflow into those corners. Now that you know the correct YouTube dimensions for your icon, what do you put inside of that small, circular image? Let’s take a look at some tips and best practices for your profile picture, then we’ll look at some examples to inspire your YouTube profile picture creation. When creating your YouTube channel profile picture, there are several factors to keep in mind. Whether you’re starting from scratch creating a YouTube channel or updating your profile, be sure to follow these five YouTube profile picture best practice guidelines. 800 by 800 pixels doesn’t leave you with a very big image. And, when viewing YouTube icons on a mobile device, that profile picture will be even smaller. When making your profile picture, remember: YouTube icons are not the place for small details, especially when it comes to text. 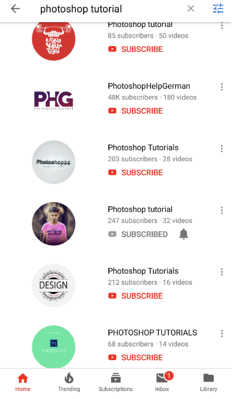 The proof is in the pictures: Here’s an Android screenshot showing some of the channels that appear when I search for “Photoshop tutorial” on my phone. How many of those can you read? Or rather, how many of those can’t you read? Even if your logo has text (such as your brand name), when it comes to creating your YouTube profile picture, consider scaling back. Instead of using their entire logo, which includes “RipCurl” written out, the company has created a YouTube profile picture with one recognizable brand element. Notice how it’s the perfect shape for the circular icon; this looks much more professional than squeezing a horizontal logo into the small circular space. Whether you are building your YouTube presence or you have 5 million followers, make a profile picture by following the RipCurl example just given – stick with elements your YouTube viewers will recognize. Maintaining your brand colors helps people know they’ve reached the correct destination when searching for your YouTube channel. If you’re rebranding your company, you may find yourself with a logo that looks completely different. This is the case for Animal Planet, who recently changed its logo. And, with a rebrand announced just one week before the writing of this article, the company has already created its new channel icon. Animal Planet was one of the first YouTube channels which came to mind when writing this article. Yet, when I saw its new logo in the search results, I wondered if I had found the official channel. Thankfully, with almost 3 million YouTube subscribers and a YouTube banner featuring the Irwin family, it’s safe to assume you are on the correct channel, new logo and all! But it’s worth remembering: If you profile image doesn’t resonate with your brand, you risk YouTube users thinking they’ve found the wrong channel. What image will best appeal to your potential viewers on YouTube? This point is imperative for YouTubers running a channel based on their individual brand. The picture you make will be the first impression of not just your channel, but your personality. Do you come across as friendly? Are you someone people want to learn more from? If you’re always uploading YouTube videos with a comedic element, your profile picture better not look too serious! Here’s the YouTube profile picture for Andrew Davis, an author and keynote speaker who speaks on the curiosity gap. Having seen Andrew speak and chatted with him in person, I can tell you this profile picture is a perfect representation of his personality. Andrew is a very friendly and welcoming person. Not only does the profile picture show this, it’s a close-up headshot. As soon as I see the icon, I can tell it’s him. If you make your profile picture a full body shot, you’ll make it harder for viewers to recognize your face. Not only does it show both brothers, it’s got personality. Having that bit of quirkiness engages YouTube users to click and find out more. YouTubers with beauty channels also demonstrate profile pictures with audience appeal. For these influencers, making a profile picture which shows off their skills is key. It establishes credibility and gives an aspirational quality for viewers who want to achieve that perfect cat eye or cheek contour. We’ll look at profile pictures for top-ranked beauty YouTubers in the next section. While it’s easy to add your logo to a white background on an 800 x 800 pixel square, upload your image and call it a day, I do not advise it when making your YouTube profile picture. In addition to the first tip (choosing an icon which maximizes the circular shape), it’s best not to use a white background. Take a look at these two YouTube icons which appear next to each other in search results. Which one stands out to you more? Using a white logo on a colored background has the strongest impact. 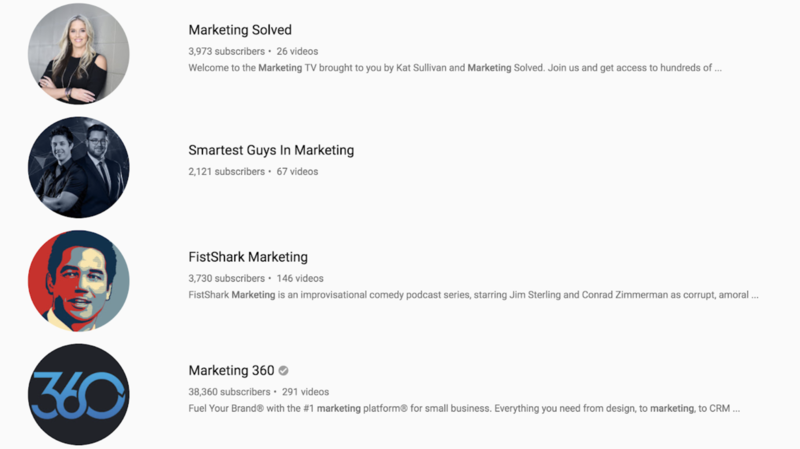 On YouTube search results your channel’s logo appears on a light gray background; having color in your channel’s icon will ensure it stands out. If you are a YouTube personality building your personal brand, apply this same principle to your profile picture by using an image with a colorful background. Your YouTube profile picture goes hand-in-hand with your YouTube banner. When you’re ready to create your new profile picture, remember hey are displayed next to each other; each one is an element of your channel art. The colors, tone, and any emotional elements (such as humor) need to be cohesive. Who doesn’t love the smile made from a cheesy macaroni noodle? And, in addition to the simple yet effective hashtag, the banner show those noodles in all their delicious glory, making my mouth start to water as I write. In this section you’ve seen 13 examples of YouTube profile pictures. Ready for more? Keep reading to get icon inspiration from some of the best channels around. Here we’ll take a look at some examples of YouTube icons. Even when you know the basic best practices, it can be hard to get started. Use these channels (and their many subscribers!) as place to start brainstorming. First, we will look at profile pictures for the accounts of individual YouTubers. Then, I’ll examples of YouTube channel icons for companies. Ryan Higa is a performer known for his comedy videos on YouTube. With over 21 million subscribers, you can bet he has some fans! He looks like someone you’d want as a friend and regular party guest! If you struggle finding a picture of yourself that feels just right, take a page out of Mark Fischbach’s channel and add some animation. Given his channel includes animated videos and gaming parodies, the cartoon image is a perfect fit. Even if your videos don’t involve animation, this is still a fun way to stand out from other profile pictures. Roman’s channel is all about being a family man, sharing stories of his life with his wife Brittney and their children. Knowing you won’t be able to see his family’s faces with the full-body photo, Roman put some extra artwork into the photo. Sure, the heads aren’t quite proportionate to the bodies. But Roman understands that the face is where viewers get an impression of your personality; it’s the best opportunity to start a relationship with viewers. Rosanna Pansino is an author known for her baking videos, as well as her cookbooks and line of baking supplies. As I you check out Rosanna’s YouTube profile picture, keep in mind that this screenshot was taken in October! Rosanna’s YouTube profile picture shows that you don’t have to stick with one icon, you can change it with the seasons. If your in the mood for some Halloween fun, Rosanna’s videos match the expectations set by her icon. 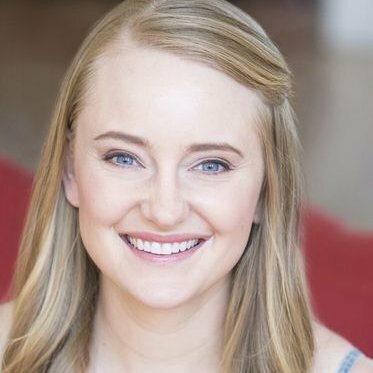 Her latest videos include her dog trying on Halloween costumes, testing out Halloween candy, and using $5 Halloween makeup kits. (Side note: Rosanna displays a great way to engage viewers too; in her video description she asks viewers what other Halloween videos they would like to see! The lighting and background (as well as an excellent photographer, I’m sure!) make it look like this profile picture was taken straight from the page of a magazine. Given Sara’s videos add a comedic touch to the cosmetic world, a balloon-tied hairdo works perfectly. I love how you can see the balloons in the image, but they support her face; the don’t take over the picture. Even if you are running a personal channel, you can still take an icon approach that doesn’t involve a picture of yourself. Check out the icons of these top-rated gaming YouTubers with literally millions of subscribers on their channels. Jacksepticeye is run by Seán William McLoughlin. He shares daily gameplay videos, in addition to sketch comedy. You can see how he’s made a YouTube icon which perfectly plays on his channel name! Another YouTube gamer with an icon profile picture is Daniel Middleton. He publishes new gaming videos to YouTube on a daily basis, and is especially known for his Minecraft videos. He has a clear design for his icon that works with the circular profile picture shape, while using block letters in a contrasting font so you can read his name. Now that we’ve looked at what top rated YouTubers are doing for their profile pictures, let’s compare them with company YouTube icons. As we look at these examples, you’ll notice how many businesses make use of a full-color background, rather than white. VICE has become the place to go for documentaries and news stories you may not see on network TV. On its website, the standard VICE logo is white with a black background. For its YouTube channel icon, VICE decided to reverse it, using a white outline amidst a sea of black. By doing so, the VICE channel icon reflects their YouTube thumbnails, which all have the a transparent Vice logo and a white outline. Knowing that Amazon is one of the biggest companies around, it makes sense that the company has multiple YouTube channels. It is clear each one is a different channel, yet they all have the distinctive symbol of the smiling Amazon arrow. With those brand elements you have faith that each channel is official, and it’s easy to find the video content most relevant to your needs. 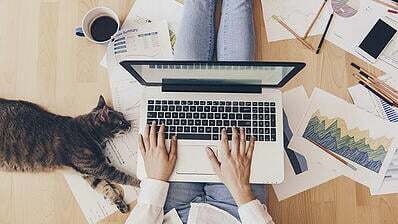 Many companies know the importance of a social media presence on YouTube, but struggle to find the time to execute social media marketing on every platform. When resources are running short, it’s hard to find the time (and budget!) to design a custom icon for your YouTube channel. A tourist destination in Australia, a simple image of the scenery has an impact. The image draws viewers in to the beauty of the city while using the correct profile picture size. This makes an emotional connection and creates intrigue to click and find out more about the destination. If your company has a mascot, why not put it to use in your channel icon? Vidyard is a company that helps businesses maximize the impact of their videos. So, of course, the company has a presence on YouTube! While there is a white background, this is still an excellent use of a YouTube profile picture thanks to the circular border; it ensures the friendly v-bot mascot still stands out. Having the a great YouTube profile picture with the perfect 800 x 800 pixel dimensions doesn’t mean much if you can’t upload it to your channel! Here are the five super-simple steps to change the profile picture for your YouTube page’s channel art. The first step to changing your YouTube profile picture is logging in to your account. If you have a YouTube account but can’t remember how to get to your channel’s home page, simply click on your current YouTube icon (found in the upper right corner) and select “My channel” from the drop down menu. Once you’re on your YouTube channel’s page, click on the “customize channel” button. Step Two: "Edit channel icon"
On the next page that appears, hover your mouse over your profile picture. Notice how it appears as a square; this is why it’s essential to remember that the your profile picture will actually appear as a circle. An alert will appear, letting you know that your channel icon is connected to your Google account. To change your YouTube profile picture, click on the “edit” button that appears. 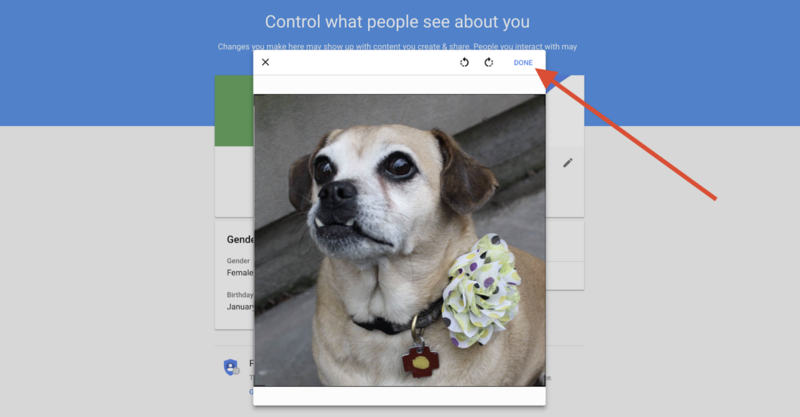 Remember, this will change your icon across all of your Google accounts! A new window will open up on your computer screen. 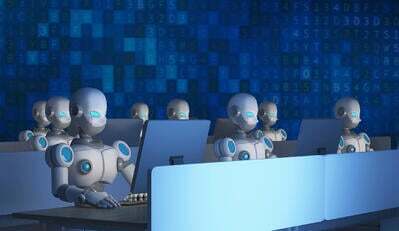 On that page that appears, select a photo from the gallery that appears or click the “upload photo” button to add a new image for your profile picture. After you have selected or uploaded your desired image, it will appear in a new window on your screen. If you've used the YouTube profile picture template to create an image with the correct 800 x 800 pixel dimensions, you won't need to worry about this step. However, if needed (perhaps you decided to take a screenshot instead of creating a custom designed icon), you can crop the image or make other adjustments, such as rotating the image. Once you are happy with the profile picture’s crop, click the “Done” button. And, once you have click the done button, guess what: You're done! You have now uploaded and saved your YouTube profile picture. Wondering how long it takes for your YouTube profile picture to change? It should happen immediately! The next step is a simple final check to ensure your profile picture has been updated on your YouTube page. You have officially changed your profile picture on YouTube! Now, the final step is checking how it looks to your channel viewers. To see your updated profile picture, go back to the original window with your YouTube channel. Click the refresh button, and your new icon will appear. A drop-down menu will appear; choose to view the image as either a new visitor or a returning subscriber. Then, your channel art will appear the same way it does to anyone who visits your YouTube page. You know the ideal YouTube profile picture size. You understand best practice guidelines for designing your icon, you’ve looked at examples for inspiration, and you know how to upload the image. Now it’s time to use one of the following templates and make your own YouTube profile picture! Here you’ll find three basic templates you can download. 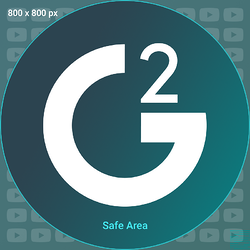 Each has the correct YouTube profile picture dimensions of 800 by 800 pixels, as well as a circle displaying the safe zone for your icon. That's our friendly G2 Crowd mascot Monty the mongoose waiving hello from the YouTube template! Download these templates and use them as the basis to create your profile picture. You can crop and resize images to make sure they fit the YouTube icon dimensions, or use the template to create your profile picture from scratch. If you don’t have a paid subscription to graphic design software, such as the Adobe products, download the PNG template for easy viewing on any device. If you are more advanced in your graphic design experience and know how to use Photoshop, download this PSD template. You’ll find it especially beneficial if making a YouTube profile picture from scratch. Whichever template format you choose, when you click the button you will download all three profile picture templates as shown above; pick the one that best suits your YouTube channel needs. Once you’ve got your YouTube profile picture finalized, you can’t forget about the rest of your YouTube channel! In addition to the YouTube profile picture template, we’ve got you covered with the rest of your channel art. Need a template to design the perfect YouTube channel banner with the correct dimensions? 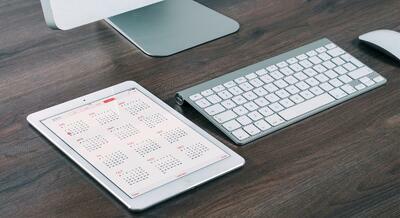 Download the template with the perfect YouTube banner size. And, don’t forget the importance of a perfectly sized YouTube thumbnail. This article has a basic template with thumbnail dimensions, as well as five thumbnail templates you can customize. Download any one of the templates with the best YouTube thumbnail size. Have you had your YouTube channel for a while and want to clean up some clutter? Consider learning how to delete a YouTube video to keep your content relevant and current. If you’re looking to the best way to execute your social media marketing on other channels, check out these tips and templates for the best Twitter header size and Facebook cover photo size.